Winter is in full swing and temperatures are staying low while the snow is piling high. This cold season can really do a number on our driveways, causing many to crack or stain. 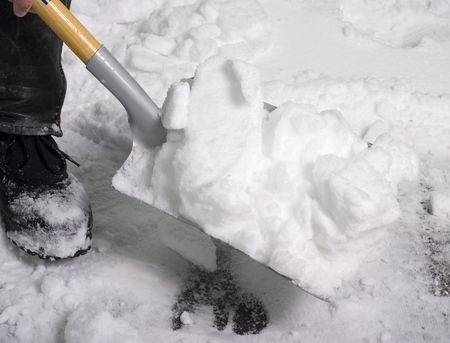 If you are looking to stop these cracks and protect your driveway, here are a few helpful tips to protect your concrete during winter’s unforgiving weather. When our driveways freeze over with ice, many people turn to rock salt to loosen it up or melt it away. The reality, though, is that salt can lead to cracks and other damage on cement driveways. While some level of salt is unavoidable in many areas where roads are cleared with a salt and sand blend, you should avoid using it at home whenever possible. The drainage system around your home can also be hiding a source of cracking and damage. If your gutters or other outspouts are allowing water to pool near or on your driveway, this water can freeze beneath or inside your concrete. As water expands as it turns to ice, this can lead to cracks forming in the cement around that area. De-icing chemicals can penetrate the surface of your driveway and cause damage beneath the surface just like rock salt. A better alternative to use is kitty litter or sand. Not only will these alternatives add traction to your driveway, but when heated by the sun the grains and granules will absorb heat and create pockmarks in the ice layer. In turn, this will cause the ice to melt and evaporate instead of regularly thawing. Templin Concrete Construction specializes in all types of concrete construction, including the tear out and replacement of concrete driveways. With years of experience, we guarantee any concrete work at your home or business will be completed quickly, accurately and to the highest standards of quality. For more information on our services or to get a free in-home estimate, contact us today!